Bigger and Badder Than Ever. Get ready to meet the next wave of dependable and capable Ram commercial trucks at our Ram dealership in Dublin, GA! 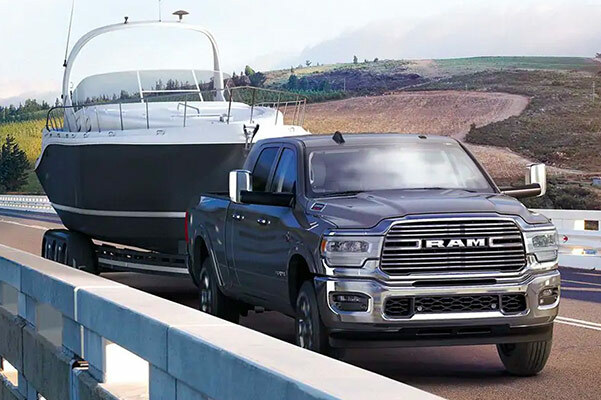 The 2019 Ram 2500 and 2019 Ram 3500 release dates are set for Spring 2019, so don't miss your chance to lease or finance a 2019 heavy-duty Ram pickup truck in Dublin, GA. With new intelligent technologies and unbelievable towing capacities and specs, the 2019 Ram commercial truck lineup is built to impress. 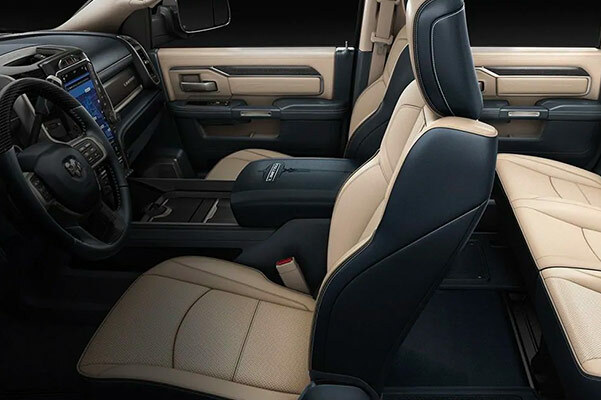 Get directions to Jimmy Britt Chrysler Dodge Jeep Ram to pre-order a 2019 Ram 2500 truck or 2019 Ram 3500 pickup and become one of the first to own a new 2019 Ram heavy-duty truck! Lead the way on Dublin worksites from behind the wheel of a new 2019 Ram 2500 heavy-duty truck. This new Ram commercial pickup boasts not only a best-in-class diesel 19,780-pound towing capacity, but also a best-in-class 410-horsepower gas engine output when properly equipped. Your Ram work truck can easily haul up to 4,050 pounds, too, making it perfect for both heavy and light jobs. Want even more power? Buy or lease a 2019 Ram 3500 commercial truck! This new heavy-duty Ram work truck boasts best-in-class 1,000 pound-feet of diesel torque output and a best-in-class 35,100-pound diesel towing capacity when properly equipped. And if that isn't impressive enough, it also offers a best-in-class 7,680-pound gas payload! You can pre-order a 2019 Ram commercial truck at our Dublin, GA, Ram dealership, so contact Jimmy Britt Chrysler Dodge Jeep Ram today and mark your calendar for the upcoming 2019 Ram 2500 and 2019 Ram 3500 release date!